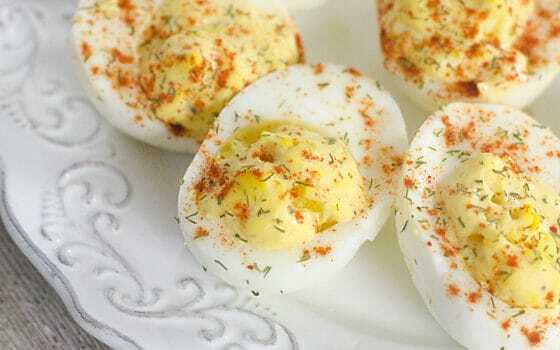 Looking for a guilt-free recipe that’s delicious, easy to make, AND low carb? 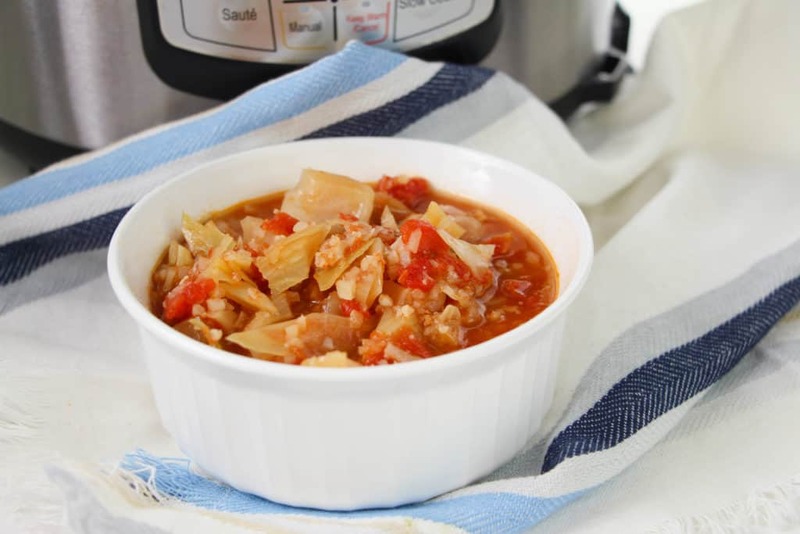 This Low Carb Chicken Cabbage Soup packed with healthy veggies, cabbage, and cauliflower! 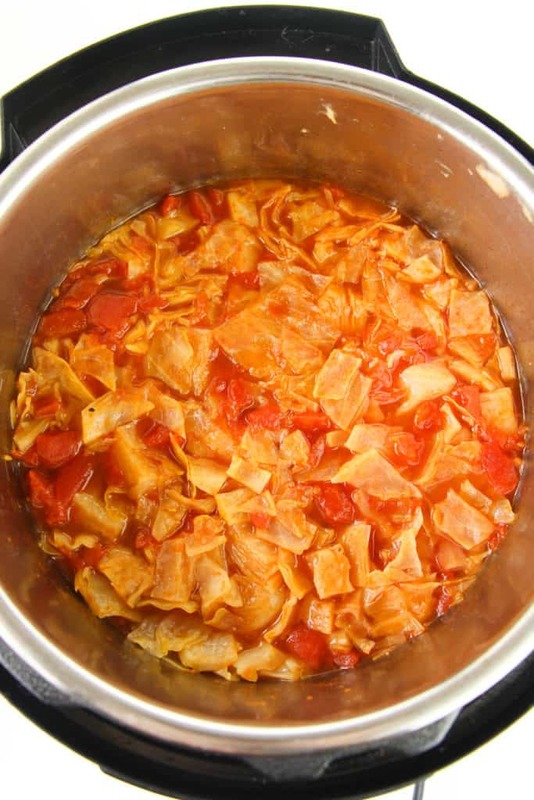 Scroll down for the easy Instant Pot recipe! I buy a few low carb items in bulk every week and use them in a variety of lunch and dinner recipes. My current must-haves are cauliflower, frozen cauliflower rice, celery, and cabbage. 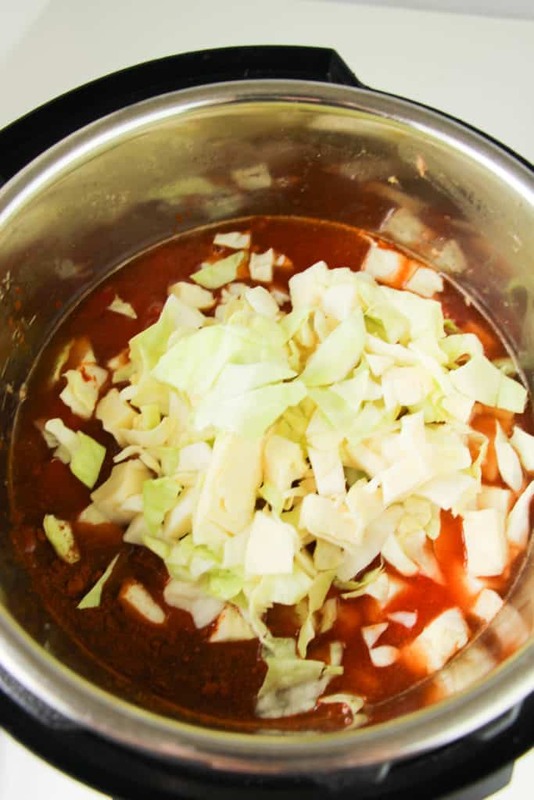 I use these veggies to make egg roll in a bowl, in this Keto cabbage beef casserole, and more recently, in this cabbage soup Instant Pot recipe. This recipe is not only low carb and Keto-friendly, but it’s also very low in calories. And because it reheats so well, it’s also perfect for meal planning! Perfect to eat for lunch and serve with some cloud bread for dinner! The best part is that it’s made in the Instant Pot, which means the after-dinner clean up will be minimal! Tip: Add 1/2 teaspoon of cayenne pepper to give the soup a flavorful kick and if you’re sick, it will work wonders for your cold! 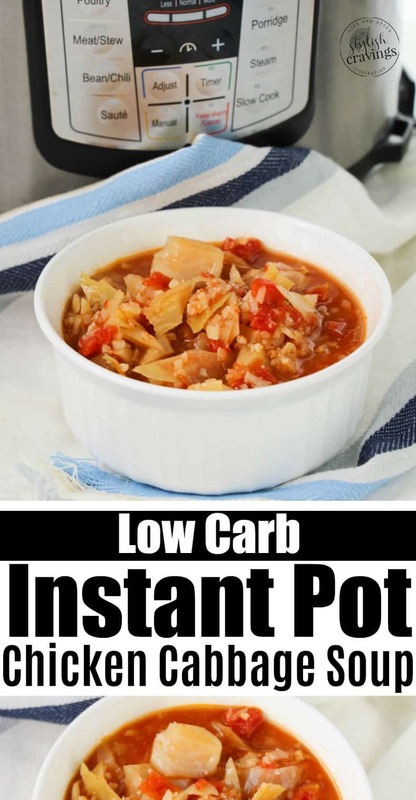 Don’t have an Instant Pot? 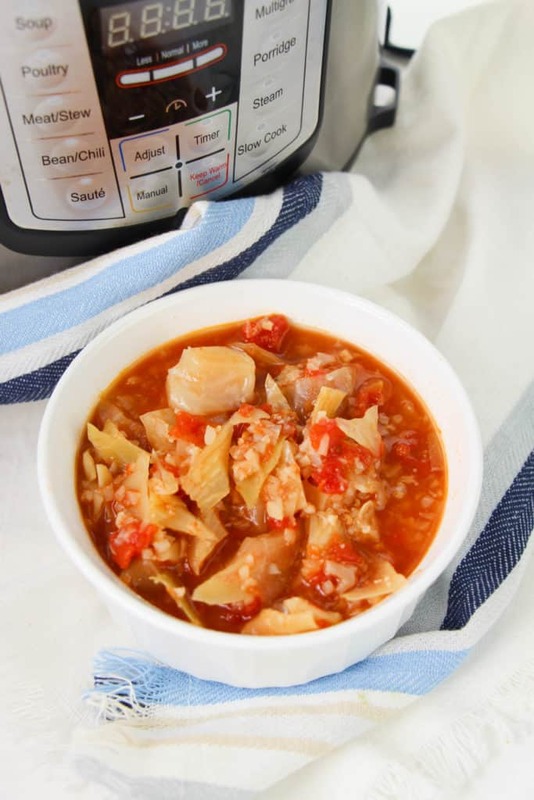 This low carb chicken cabbage soup is easy to make no matter what you cook it in! Prepping only requires you to chop the veggies and dump them all into one pot. 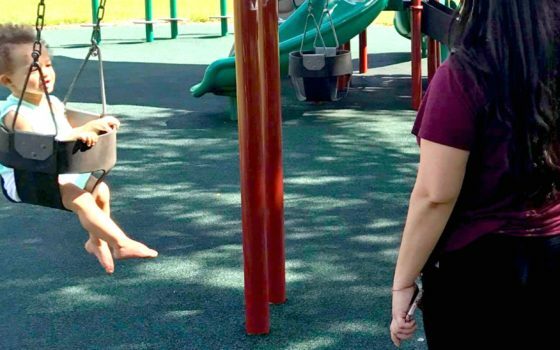 It’s easy peasy to make and it is so good for you! Place oil in IP and set to saute setting. Add onion and cook until translucent, about 2 minutes. 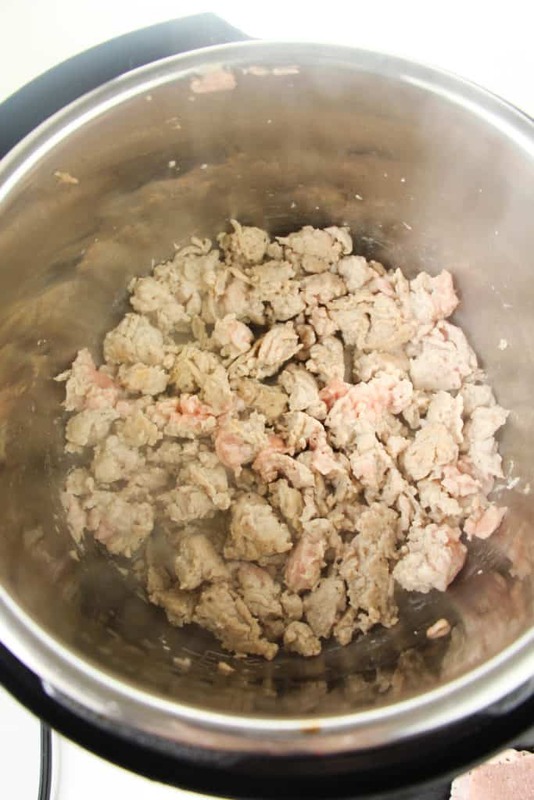 Add garlic and ground chicken and cook until chicken is browned. 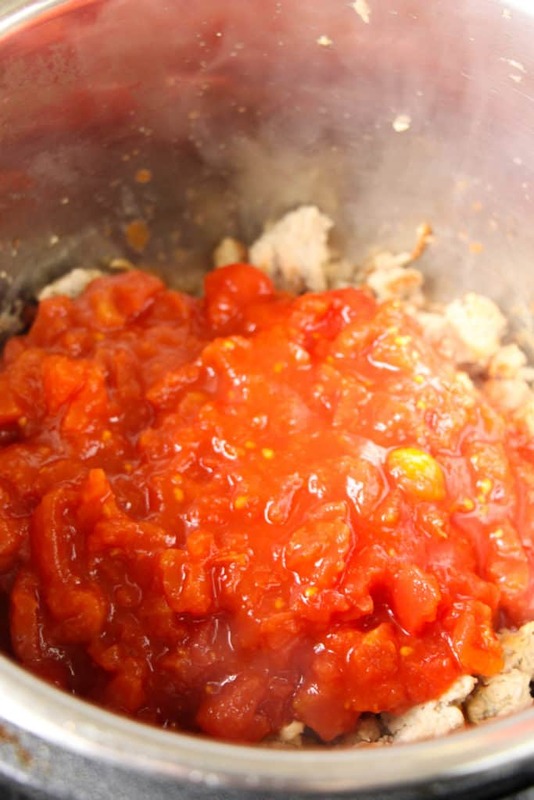 Turn off IP and add cabbage, tomatoes, water and seasoning. 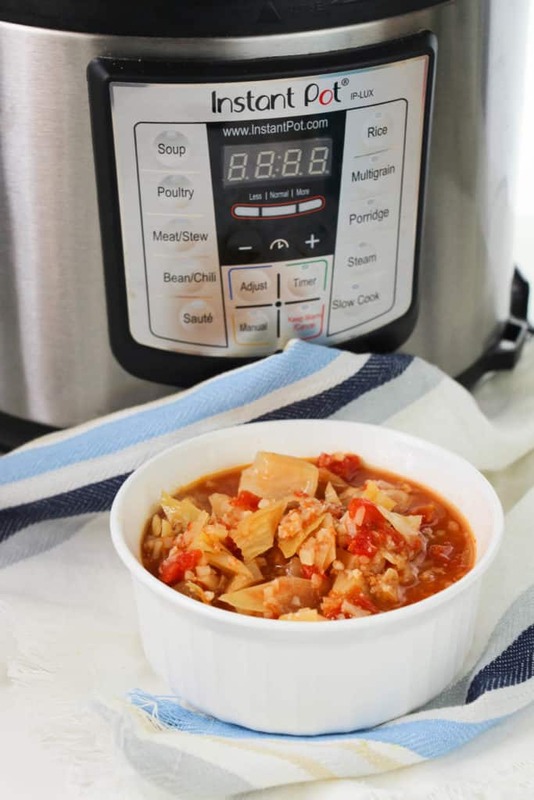 Secure lid of IP and select soup setting for 20 minutes. Natural release, remove lid and add cauliflower rice. Place lid on IP for 5 minutes to allow cauliflower rice to heat through and absorb some of the broth. 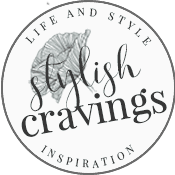 Make sure to pin along with me on Pinterest!